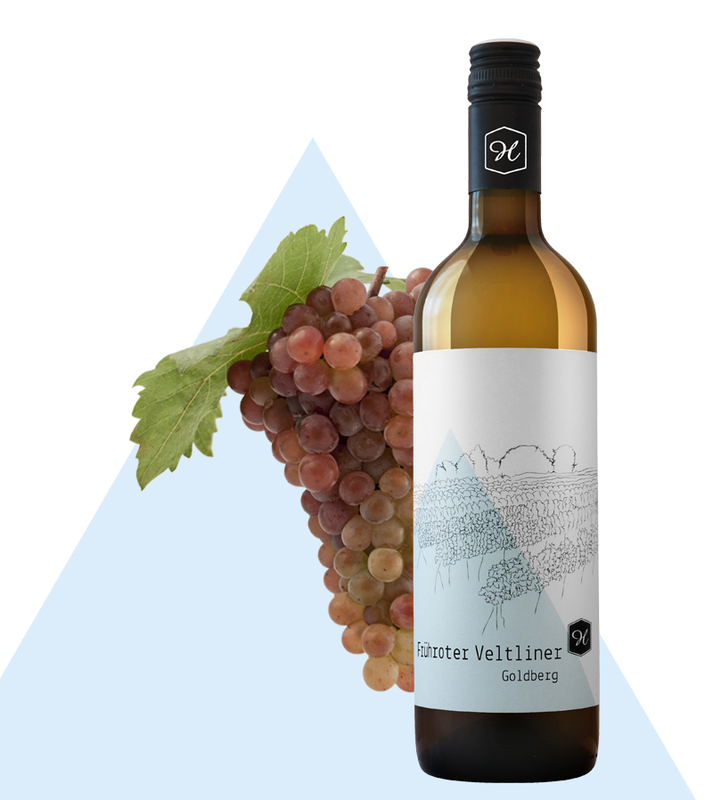 The Frühroter Veltliner is a simplistic, uncomplicated sort of wine. The wine is also called terrace-wine, because of its neutral scent, its slightly nougat taste and its amiable aroma. The mild acidity perfectly completes the taste of the wine. “Goldberg” consists of several groups of hills with deep Loess soil. A special characteristic of Loess soil is the valuable ability to store Water, which has especially in arid times many advantages. On one side are the warm southern slopes, on the other side the cooler northern slopes: This combination makes the “Goldberg” to one of the most interesting locations. Already in early years it was widely known, that the Goldberg (“Gold” = gold + “Berg” = mountain/hill) is a special location. The farmers had optimal yields and quality of crops and therefore were able to make rich earnings in gold. This is one of the theories around the origin of the name “Goldberg”. Another theory is, that the Loess soil glitters especially golden under an arid midsummer’s sun.